The investigation results of the IHK-certified private investigators of our detective agency in Jena always stand up in court: We investigate on behalf of private persons, for example, in cases concerning custody cases, discussions on alimony and/or child support payments, marital infidelity and stalking, as well as on behalf of companies in cases of fraudulent sick leave, industrial espionage, unfair competition, theft and embezzlement, and warehouse crime: +49 361 2243 0020. The Friedrich Schiller University in Jena counts about 20,000 students which makes it the biggest university in Thuringia and a significant indicator of the city's focus on education and research. Jena became known specifically through its glass and optics industry; the Optisches Museum and the Schott GlasMuseum offer a comprehensive and highly informative insight into the economic power of these two industrial branches. The companies Schott Jenaer Glas and Carl Zeiss Jena were combined during the GDR, resulting in the company Carl Zeiss. During the following century, several businesses developed out of Carl Zeiss within the optics and chemical industry. In addition to this, the economy also focusses on biotechnology, software development and e-commerce. However, it is especially institutes and businesses relying on research and development which are faced with crime committed by third parties (first and foremost competing companies) and also by employees: Data theft, industrial espionage, patent infringements, bribery of employees and sabotage are only a few out of many types of offences which call for our qualified corporate detectives in Jena. We research the circumstances and monitor our target persons thoroughly and document all evidence of their deeds in legally valid reports. We will gladly take on your case as well, please make use of our contact form and send us a description of your case. Jena's location in the Saaletal is very famous – bedded amidst hills and mountains. The "Optical Valley" is known worldwide for its outstanding optical solutions. Our private investigators in Jena support local businesses to secure their interests. 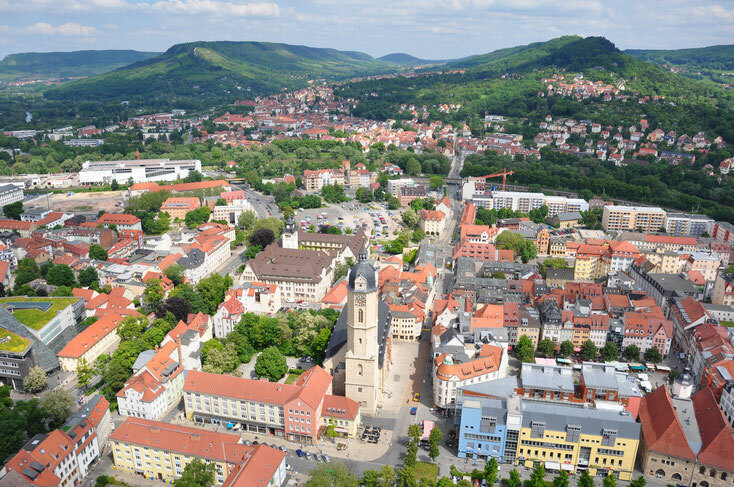 The urban district city of Jena counts about 107,048 inhabitants and is one of the three regional centres in Thuringia. Jena's unemployment rate was at 6.4 % in December 2015 which is only barely above the national average. The main employers are within the manufacturing sector and the service sector. Nationwide train connections and the direct connection to the A4 lead to a stable export quota which reached 59.9 % in 2014. 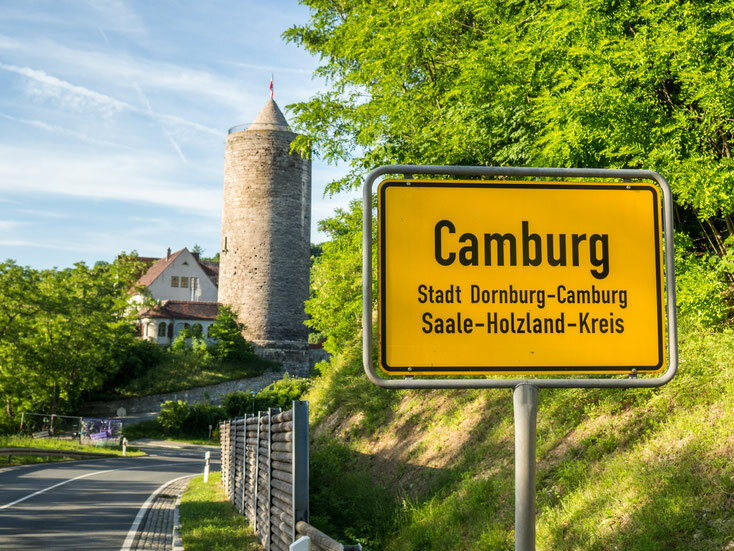 However, even if Jena is in a good position compared to other cities in Thuringia, the number of committed crimes still increases while the crime clearance rate decreases. In 2015, 2,006 offences were registered in Jena and the crime clearance rate decreased by 4.2 % to 53.2 %. And although the low number of unemployed people means that property crimes cannot be committed out of sheer necessity, the case numbers of theft, burglary, offences against property and fraudulent falsifications have increased significantly. The police are chronically understaffed like everywhere in Germany and not sufficiently equipped – unlike the investigators of our private detective agency in Jena: We don't only have an excellent stock of technical, up-to-date equipment but also qualified staff with a comprehensive know-how which they gained through years and years of experiences by working on cases. Our detectives in Jena research the circumstances, monitor possible target persons, gather legal evidence and make sure that the detective fee is fair and reasonable. Of course, we stand for reliable and discrete investigation methods. Give us a call for a non-binding informational interview on your case-specific options: +49 361 2243 0020. When necessary, our private and corporate detectives will also operate on your behalf in Jena's surroundings.